KARACHI / ANKARA –-- Nurol Makina, one of the Turkish defense industry's manufacturers of armored land vehicles, continues the success achieved with its unique Ejder Yalçın 4x4 Armored Combat Vehicle design to new destinations. Nurol Machinery participated in tests and international exhibitions in a number of countries throughout the year in order to promote and market its armored vehicles. The last stop of the company was the IDEAS International Defense Fair and Seminar, held in Karachi, Pakistan. Nurol Makina, who participated in the fair for the first time, introduced Ejder Yalçın's original design products to the authorities from regional powers. Comparing its superior performance to the other vehicles that Ejder Yalçın has entered into the competition with its promotion and marketing activities, Nurol Makina is now reaping its fruits with export orders. 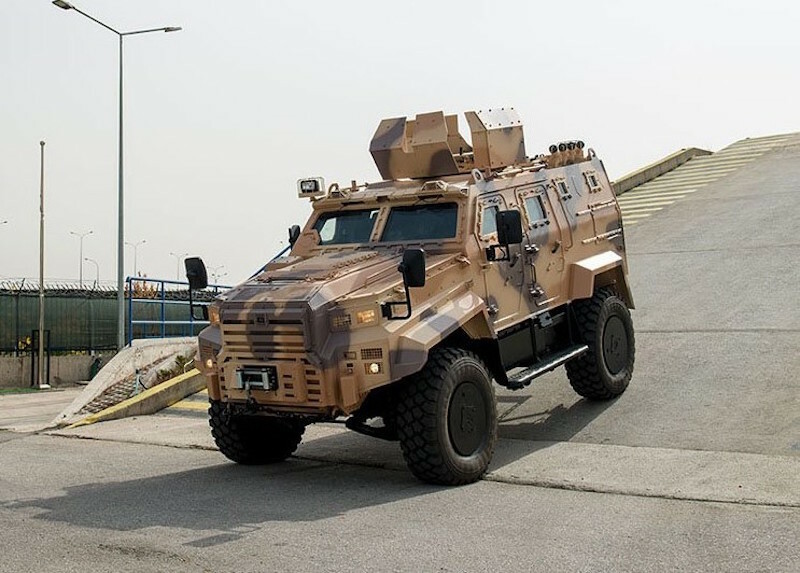 In addition to Nurol exports, Aselsan is also testing its products in the Qatar desert, while Otokar is delivering nearly 700 8x8 armed vehicles to the UAE. A new export success with the Dragon preferred by 4 countries besides Turkey Yalcin added. The last customer for Ejder Yalçın was an African country. Thus, the number of countries that the company exports to five. Previously, Qatar, Senegal, Uzbekistan and Tunisia had chosen to strengthen the vehicle inventory of their security forces with Ejder Yalçın. In the meantime, Nurol Makina, delivered a total of 500 Ejder Yalçın up to today. Ejder Yalçın 4x4 Armored Combat Vehicle has a strong claim to create its own class with its level of protection, mobility and useful load carrying capacity. In different geographical conditions in Turkey, lands and cities in successfully serving the Dragon Yalcin, up from the Sahara Desert to the Central Asian steppes and mountains also successfully passed the tests carried out in various regions of the world. The vehicle has proved itself in the combat environment by serving in different conflict environments in various countries where it is in inventory. The proven combat performance of Ejder Yalçın enables its users to perform their duties safely and play a deterrent against enemy elements. Vehicles, according to the preferences of the country is produced in various configurations and task loads. Ejder Yalçın is specialized on border surveillance and security, exploration, tactical missile handling / launch, command-control, air defense, combat, personnel carrier, CBRN discovery, mine / handmade explosive detection-destruction and armored ambulance vehicles. offers solutions.